Lyft and Uber are ride-sharing services that launched in 2012 in direct competition with local taxi companies. To order a Lyft or Uber ride, you need a smartphone and the Lyft or Uber mobile app (assuming your account is set up). Both services work similarly, connecting drivers and passengers using location services, and accepting payment seamlessly through the app. There are a few differences between the two organizations, but is one better than the other? Let's explore. The number one concern for most people is the cost. For both Uber and Lyft, pricing depends on your location, the time of day, and local traffic. Both services raise prices when demand is high; Uber calls it surge pricing, while Lyft calls it Prime Time. The higher rates are meant to encourage more drivers to go online to meet the demand. Due to fierce competition between the two companies, pricing is about the same, according to ridester.com, a ride-sharing monitoring service. In most cases, riders can see a price estimate before accepting a ride. Passengers can also benefit from free or discounted rides from time-to-time, sometimes tied to an event or holiday. Chances are if Uber offers discounts on a particular weekend, Lyft will follow suit. Lyft and Uber looked very different at launch. Uber mostly used black cars and SUVs, drivers dressed up, and passengers always sat in the back seat. 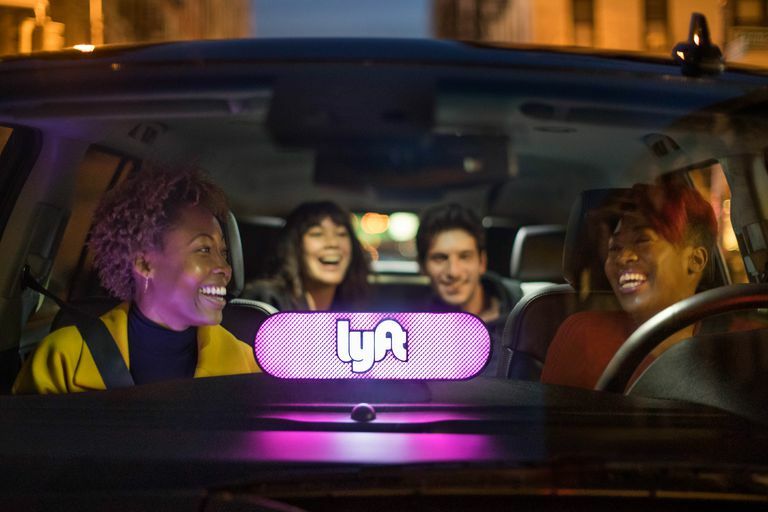 Meanwhile, Lyft cars used to feature giant pink mustaches on the grill and passengers were encourage to sit up front and fist bump their driver. Lyft has since mostly eschewed the pink mustache and fist bumps, and passengers mainly sit in the back seat. The services are nearly identical now. Uber and Lyft work in the same way: Request a ride through the app, get matched with a driver, track your driver on a real-time map, and pay for your fare using the app at the end of the ride. Drivers of both ride-sharing services are considered contractors, not full-time employees. An array of vehicle options, from a four-door car to a large SUV that can seat six. Lower fares if you're willing to share a ride with another passenger who is going in the same direction. An online tool to estimate fares before requesting a ride. A warning if a fare is subject to higher pricing due to demand. The opportunity to add a tip at the end of your ride and rate your driver on a scale of 1 to 5. Passenger ratings by drivers. Uber passengers can see their score in the app, while Lyft riders must contact the company to get their rating. Multi-stop rides if you need to pick up or drop off friends along the way. Uber is more widely available with a presence in cities all over the world, while Lyft is limited to North America. In general, Uber is more corporate, while is Lyft more casual, though Lyft offers some high-end vehicle options. If you want to impress and client or customer, Uber might be a better choice. If you like chatting with your driver, Lyft might be a better option. Our take? Download both apps and pit them against each other. In some cities, Lyft is the better choice, while in others Uber rules. When demand is high, pricing can vary widely; get the best deal you can.